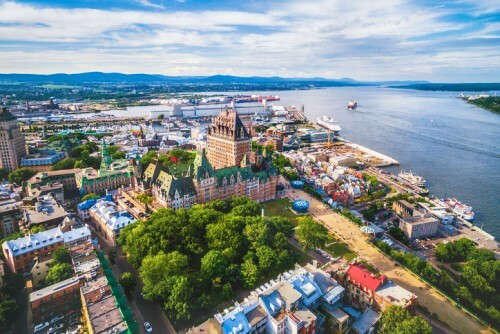 The body representing real estate agents in Quebec says that the definition of the brokerage act should be changed to ensure all those who provide real estate services operate under the same rules. Quebec Federation of Real Estate Boards represents 13,000 real estate professionals and told the government’s public finance committee that Bill 141 should also regulate those firms that operate on a sale-by-owner advertising basis. The federation says that this bill weakens previous regulation which offers greater consumer protection by making real estate professionals more accountable. "Bill 141 as proposed by the government could result in a regrettable step backwards, a return to the time when anyone could practice real estate brokerage without the need for professional liability in the event of fault or negligence," highlights Patrick Juanéda, QFREB President. He added that the federation is disappointed that the views of its members were not listened to and believes that consumer protection has been damaged by the double standard which has developed in recent years. However, he is not suggesting that sale-by-owner companies should be outlawed.